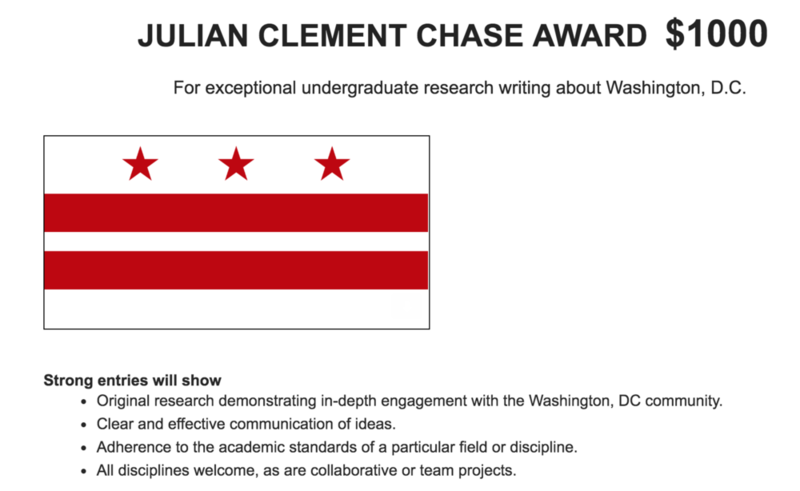 The University Writing Program will be giving out the Julian Clement Chase Prize, named after a D.C. area student who died while serving in Afghanistan and loved Washington, D.C. Submissions are due by May 20, 2019. Learn more here. · Completed Budget Template with necessary backup. Recipients of the scholarships must produce pre-engagement and post-engagement blogs/essays/social media posts, as well as volunteer at least two hours during the selected conference. Specific engagement and volunteer activities will be confirmed with the selected recipients. More information about this process can be found here. Apply here. Teagle’s call for proposals is out! The Teagle Foundation’s initiative is “to support and strengthen liberal arts education, which we see as fundamental to meaningful work, effective citizenship, and a fulfilling life.” It seeks to strengthen civic education throughout the undergraduate curriculum and disciplines as a means of challenging and defining American democracy. The most successful proposals are expected to transcend additions to the course catalog and mirror an initiative to integrative learning, aiding the student body and capable of being sustained well beyond the distribution of the grant. See http://www.teaglefoundation.org/Grants-Initiatives/How-We-Grant/For-Grantseekers-(1) for details on submission. The application for faculty who are interested in joining GWUs Faculty in Residence and Faculty Guide programs is open until February 15th. Democracy, Call for Abstracts & New Book, "Jumping into Civic Life: Stories of Public Work from Extension Professionals"
Looking for a short read to motivate your civic thinking for the next semester? How about a longer read for over break? Check out "Jumping into Civic Life: Stories of Public Work from Extension Professionals"
Ready to share new Community Engaged Scholarship class next semester? Call for Abstracts: 2019 Community Development Education Symposium -Funding is Available! The consortium invites Imagining America members who teach community development courses to submit an abstract proposal for the 2019 Community Development Education Symposium that will take place in Detroit, MI, from May 16th-19th. The symposium will convene educators to discuss innovative curricula and educational practices, while exploring the current and future state of community development education. A limited number of travel stipends will be made available to individuals that are accepted to participate in the symposium. For more information regarding participation please click the link, here. In addition, individuals participating in the symposium will also be eligible to apply for one of five community development innovation mini-grants (approximately $5,000/grant). KACIF (Knowledge In Action Internship Fund) Applications are Open! KACIF is a great way for students to get support with funding to help offset the expenses of unpaid internships in the non-profit or government sectors. Encourage your students to apply and take advantage of great opportunities to gain career experience while at GW! 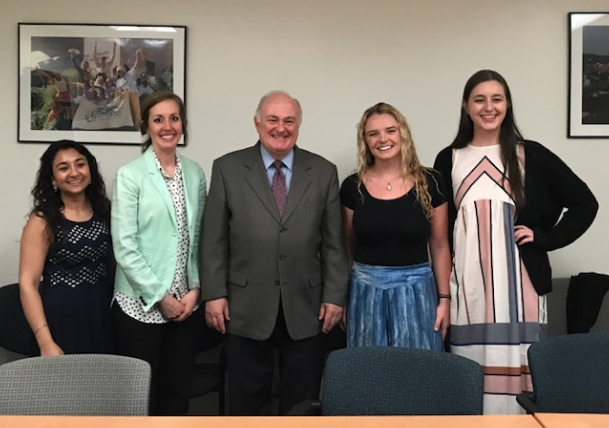 The GW Noyce Scholarship program has a focus on training students who are in STEM concentrations to become teachers in high-need secondary schools after graduation from GW. Scholarships up to $20,000 per year will be available for juniors and seniors admitted into the GW Noyce program. This week we’re highlighting some take aways from the Imagining America Blog Salon. This selection on Public Scholarship and Resistance, written by a doctoral student as part of the PAGE program is a great tool for discussion in graduate level classes or among colleagues this week. 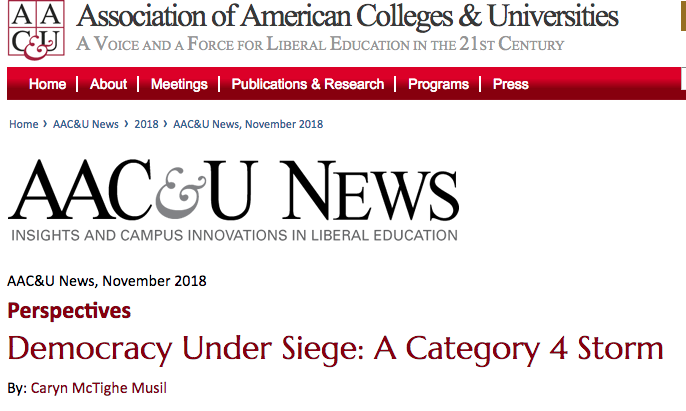 Through “Education for American Civic Life,” the Foundation seeks to elevate the civic objectives of liberal arts education through faculty-led efforts within the curriculum grounded in the issues that define and challenge American democracy. GW Nursing's Dr. Ellen Kurtzman will get an opportunity to shape policy through her work as a fellow.